If you are a businessman who wants to make your business grow within a short span of time, then it is prudent to employ some help from a Magento web development team. What is Magento and why is it great for eCommerce? Magento is an eCommerce platform that is considered the most flexible among other platforms of the same kind. It offers advanced features that help optimize the visual appeal, layout, content, and functionality of your eCommerce website and entice more customers to make a purchase. Your online business will never be the same again as you discover the strength and supremacy that Magento brings to your business. You can be certain that Webvdeo is a suitable choice for your Magento web development. 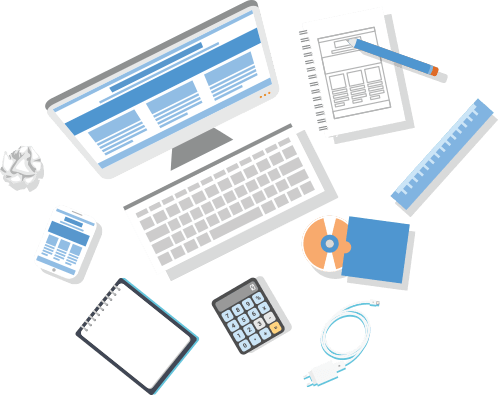 We will work based on your ideas and come up with the eCommerce website design that will surely let your customers gain a great experience when visiting your site or making a purchase. A satisfied client who went through a great experience with your eCommerce site will surely come to visit time and again. Soon, you will notice an increased traffic to your site along with improved sales and a decrease in number of cart abandonment. Magento is scalable.Magento allows you to make use of the platform according to your business needs. The Magento Enterprise Edition has remarkable features to generate an outstanding eCommerce experience that your clients will find delightful. Offers the best platform to develop a responsive website. There is no doubt that the number of smart devices will continue to rise, and it is only right for modern businesses to establish a responsive website that will be able to cater to the different smart devices. A professional Magento web development, like Webvdeo, can easily create a responsive commercial website that allows store integration across the many smart devices around and in the future. Offers more than a thousand extensions. Integrating extensions can make your business escalate faster than you imagined. Magento offers more than a thousand extensions that you can integrate to your business site without trouble. Magento offers professional support. If you have decided to consult a team of Magento web developers and decided to use the said platform for your eCommerce site, you can take advantage of its more than 505 solution partners, 203 industry partners, and 16 hosting partners. Magento always aims to provide an impeccable support system for all its clients. Knowing that you have a broad and dependable support base to rely on, you can be confident that you will have a business website that will bring in a lot of traffic and profit. It has a superb architecture. Some of the most typical problems that most web developers face are absence or lack of support system, debugging, maintainability, code reuse, and more. Magento is constructed with the art of perfection in mind. The typical problems that the web developers dread to confront are things that they don’t need to worry about when using the Magento platform. The teams that handle the Magento web development are always thankful that there exists a refined and amazing platform to help them create a perfect eCommerce website with ease. Aside from some of the mentioned key features of Magento, there are still a number of reasons regarding the good things that it can bring to your eCommerce website. 1. Magento allows you to choose your hosting service. If you want the convenience of a hosted platform, then you can get that with Magento Go along with all the benefits of Magento Community edition. It is best to ask your Magento web development team if you need more information. 2. Third party apps are easy to integrate. Magento allows your eCommerce website to integrate or connect to your chosen apps or plugin. It could be tracking, shipping, web analytics, payment gateways, and others. Pick your app and plug it into your site without going through so much trouble. 3. It is super fast. Majority of net surfers expect the page or site to load within 2 seconds. If a certain page or site takes more than 2 or 3 seconds to load, they simply close it and move on to their next target. If your site takes longer than 2 seconds to load, then expect to lose a great number of customers. If you want your business to flourish, then you need to seek some help from a reliable company for your Magento web development. Magento platform loads fast and will make sure that you won’t lose another customer again due to slow loading of page or site. 4. It is SEO friendly. SEO is not dead and there are signs that tell you that it will continue to live on for many years. The Magento web development team knows that it is imperative to make your eCommerce site SEO friendly as much as possible. Magento actually saves you the trouble of preparing SEO optimized URLs, site maps, meta tags, navigation, descriptions, and more. Magento makes sure that your site is search friendly. Don’t waste time and contact Webvdeo now and inquire about the Magento web development to help your business. The longer you put it off, the more you waste your opportunity to make your business grow in no time at all.